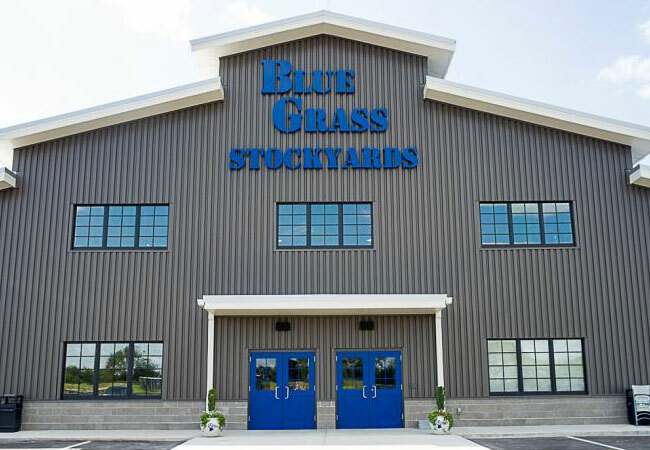 Values that the new Blue Grass Stockyards—more specifically, the Blue Grass Regional Marketplace—prides itself upon (BRM). Without those values in mind, the BRM might still be the largest cattle operation east of the Mississippi, but it wouldn’t have transformed into the community-centric facility it is today, with the customer and Kentucky families at its heart. Anyone who was in Lexington the day the Blue Grass Stockyards caught fire last January remembers the devastation it wrought. Flames so viciously high many said they could see the smoke all the way from Louisville. Days passed, owners and politicians deliberated, staff revived nearly decade-old plans that were long-time dreams for expansion. Resilient like Kentucky farmers are, the Blue Grass Stockyards team quickly sought to turn this heartache into an opportunity. 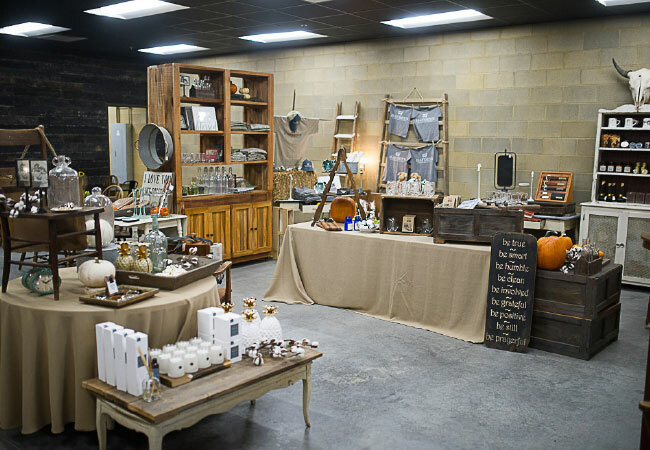 A short eight months of vigorous and steadfast construction later, the Blue Grass Regional Marketplace had its grand opening with much pomp and circumstance at 4561 Iron Works Pike, across from the Kentucky Horse Park. A state-of-the-art eco-friendly operation expanding to 232,000 sq. ft.—with 40,000 sq. 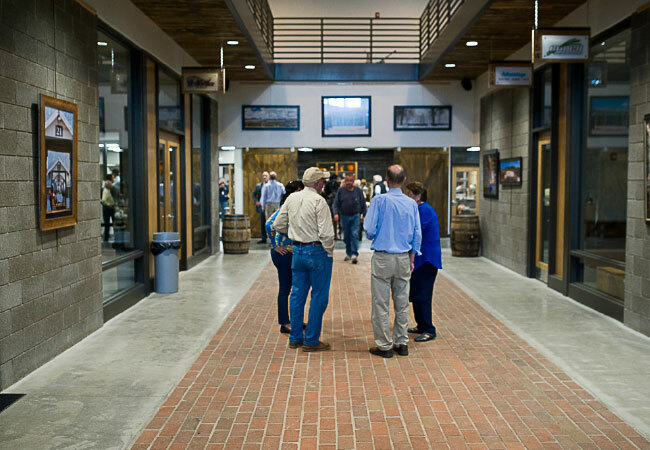 ft. of office and retail space—BRM is more than a stockyards, but a place for farmers to engage in commerce and community. “You really have to see it for yourself,” said Lauralee Estill, Event Coordinator at BRM. 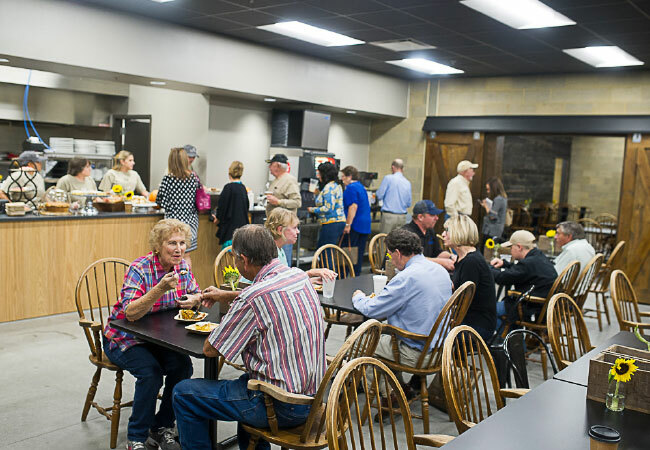 Speaking of good food, BRM invites patrons to dine at Hayden’s Stockyard Eatery, located at the marketplace’s center. Owned by DaRae Marcum of DaRae and Friends Catering, Hayden’s serves top-shelf southern fare that cattle customers and travelers alike say is worth the drive; particularly for the prime-cut meats supplied by JSW Chop Shop. Local Kentucky Proud products are used to create the made-from-scratch southern comfort breakfast and lunch menu, which can be had from 7am until 3pm Monday through Saturday. Hayden’s has exciting dining plans for the New Year too, like a Beef and Bourbon experience in January and a Valentine’s Day dinner in February. Visit: haydensstockyardeatery.com for more information. BRM has also seen great success in midst of the holiday season, where there’s fun to be had by all. The weekend before Christmas, families brought their children to sit atop Santa’s lap, have lunch and do some last-minute shopping at R.T. Outfitters farm and outdoor wear.